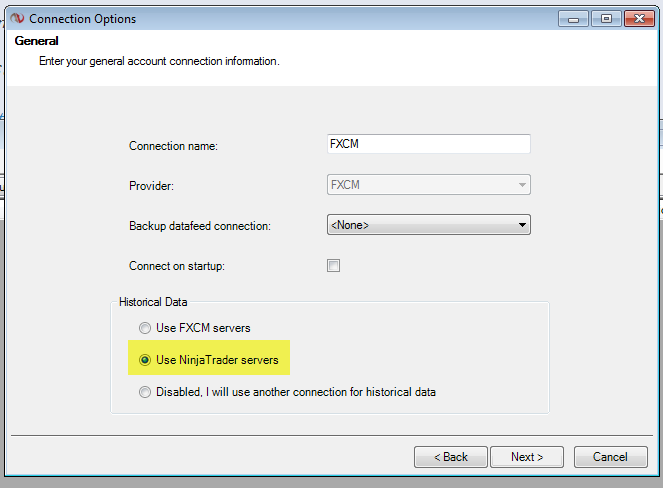 Are you using FXCM or Gain for forex data? If so please review the Installing NinjaTrader course again as you missed an important step regarding making sure to select use NinjaTrader servers for historical data. Specifically, you should review Module 3. If you don't do this your charts will literally take minutes to load. Yes, you can probably set it up on your own without watching videos, but there are small steps that make a world of difference. A few short minutes will save you hours, days, or weeks of frustration.